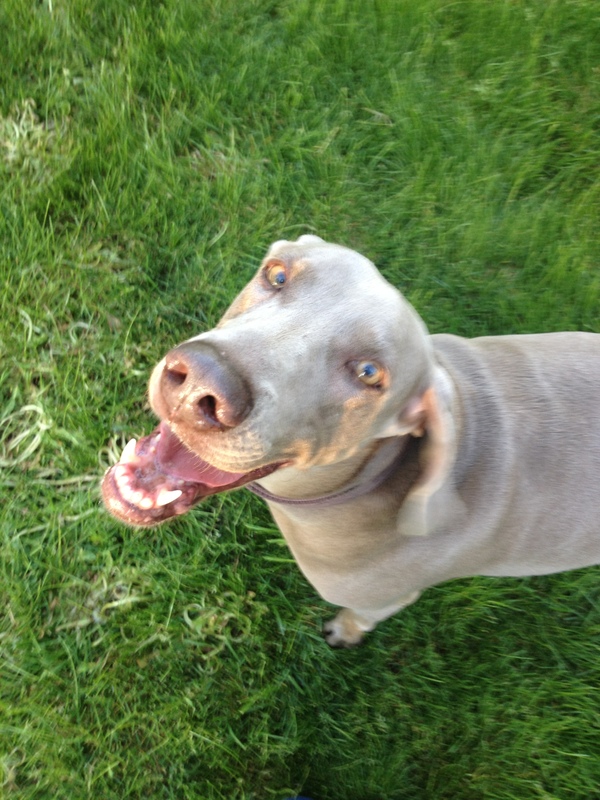 We have made a lot of connections through the Weimaraner. I don’t think that is a secret. So, I wanted to take this Friday to say thank you, again–so many of you have blessed us. I never cease to be amazed at those who are generous–and just this week I am reminded of an extraordinary gift we received more than 12 years ago. Next week you will read of Cabela’s passing–but for a moment can we remember her full of life? Not too long after she joined her family, I received this framed charcoal sketch. It still hangs near my workstation. I look up and remember her and the miracle of her life quite frequently. Thank you, Jessica, for this beautiful gift. I still have the basket you also sent–using it on occasion for a photo shoot. Unfortunately, one of the handles broke, but for now, it remains in use. Friendship, gift cards, cash, and small tokens of appreciation have found their way to our doorstep. Nothing is more valued than our relationship. We just wanted to take a moment to say thank you–for the updates, and all you folks do for us–including the referrals. We had one referral this week. Each time I run across this photo I am reminded that I want to email you. Then I get caught up in other things, so here is the long overdue update– and the must- send photo. Cabela has turned out to be quite the kid dog! 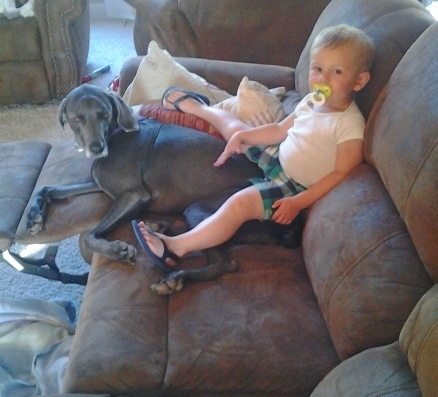 Caleb is too, but Hunter and Cabela have definitely bonded big time. She even reads books with us at night. 🙂 She is doing really well…feisty as ever and her leg doesn’t seem to bother her any more than it did in the beginning. It certainly does not stop her from chasing birds, digging holes to China, or running top speed over to the neighbor’s house to see what’s for lunch. Can’t believe she will be 7 this year! Adding Pokie to the fold…. 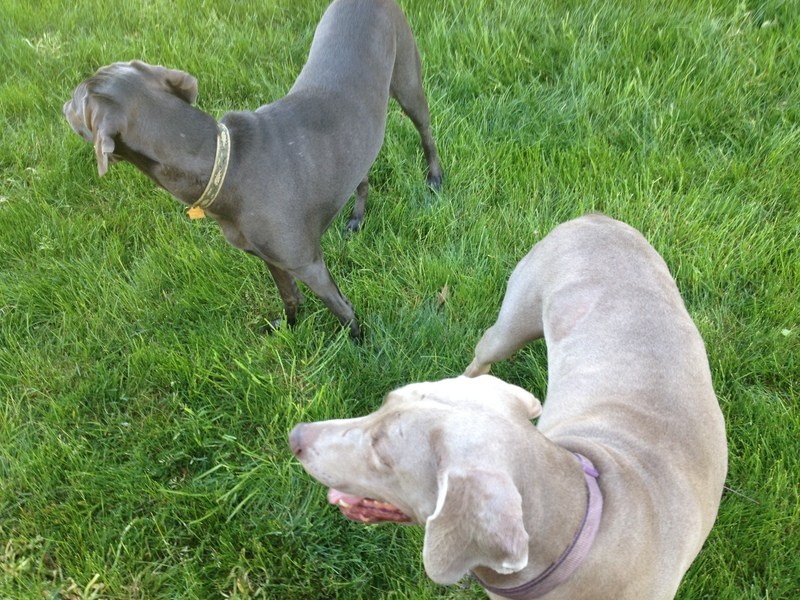 Bringing in an older Weimaraner has its challenges. I loved getting Chester as a youngster, and I, personally, don’t consider Polka a “rescue” but it’s so interesting the different dynamics and challenges that arise from getting either a puppy or an older dog. One day, probably after, Lord forbid, I lose one of my babies I will be getting another pup to join the family. 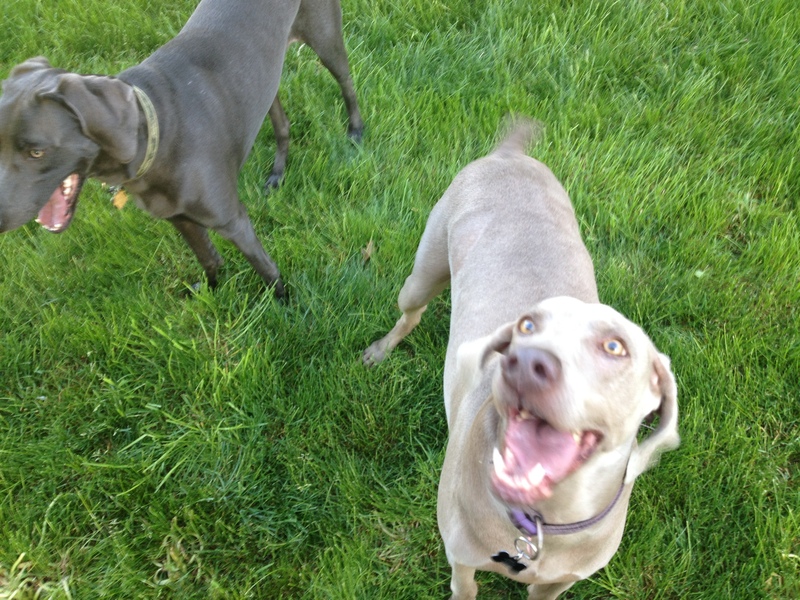 I have become a lifelong weim addict. And I will always have two. 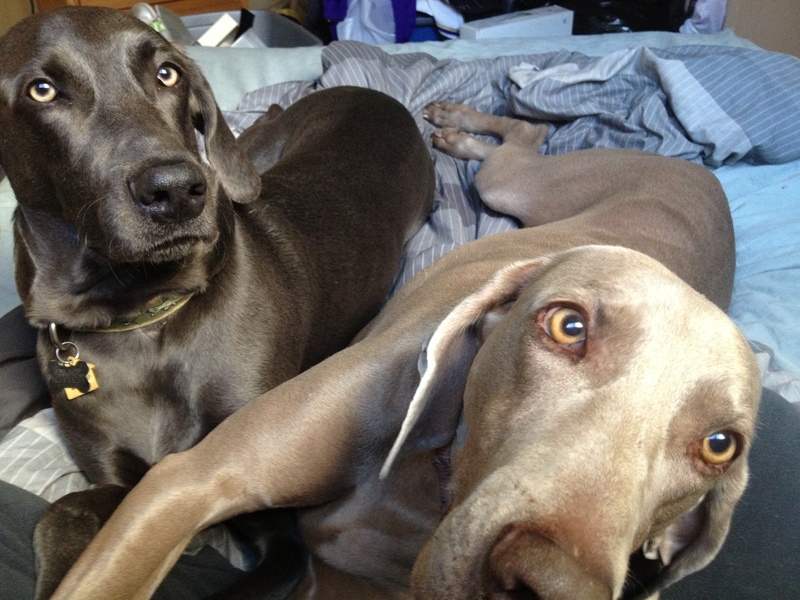 There’s nothing in the world like seeing two weims that love each other and are attached to each other and at the same time love their humans oh so much as well. I can’t wait for our story to unfold even more. Each and every day I am amazed with something new. They have a way of pulling at the heart strings. I have always love dogs and horses…….. Being raised with dogs and horses, I still have never felt a love towards dogs like I do my babies. They really are my kids. I really don’t think I could ever thank you enough, or truly tell you what you have done for me. You know I was having a really rough time in my life before I got Chester. 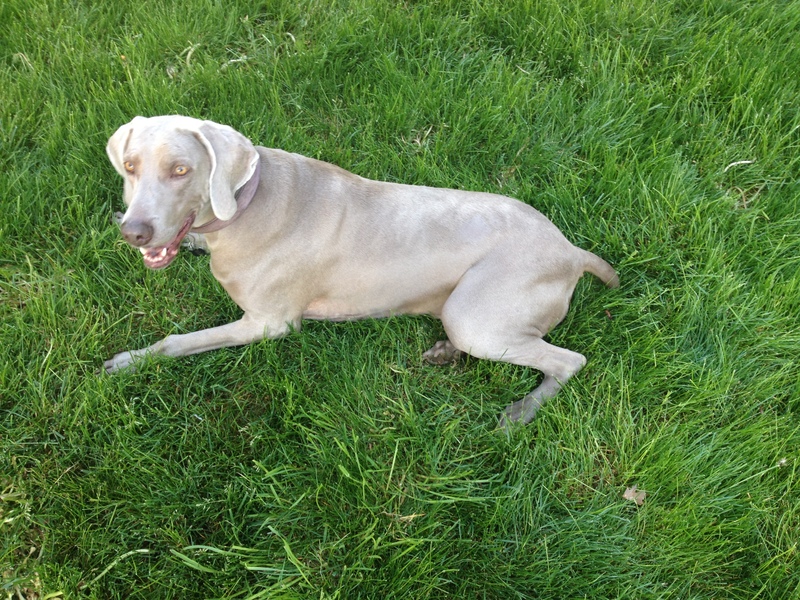 I had lost who I thought was the love of my life, and my first weim. And honestly, Chester saved me. Then Polka came in and made me even more whole and happy. You do amazing things, and hope you know how appreciative I am for having found you and your amazing dogs. We got off to a rough start, but she really has seamlessly fit in with our family. Hugs and puppy kisses from North Idaho and Jamie, Winchester & Pokey.